Manufacturing is coming back to the U.S. This is due to the growth in our economy. The Commerce Department stated that the economy shot ahead in the second quarter of 2018, growing at an annual rate of 4.1%, which is the fastest pace in four years. American manufacturing has become more competitive than we’ve seen in decades, primarily because of our information technology leaders. New process technologies are rejuvenating manufacturing. Innovative processing concepts can double net energy productivity, which will enable the speedy manufacture of energy-efficient, high-quality products at a competitive cost. This growth of new technology is being called Industry 4.0. We have seen where it has invaded all areas of our lives, and we are starting to see applications in the manufacturing industry. The integration of smart production methods certainly has the potential to make manufacturing autonomous, less costly and more efficient. One such technology is lights-out manufacturing, which refers to factories that operate autonomously and do not need a human presence. Robots run these factories and do not require light. In fact, several robots can work together in total darkness. This might sound a little far-fetched, but these factories have been in use for at least 15 years. The Japanese robotics maker FANUC has been managing a “lights-out” factory for the last 17 years. In this factory, robots are manufacturing other robots totally unsupervised for a month at a time. The China-based phone part producer, Changying Precision Technology Company, has constructed an unmanned factory. Everything in the factory is carried out by computer-controlled robots. Machining equipment to unmanned transport trucks are all computer controlled. The engineers monitor the actions of these machines through a central control system. The factory once required about 650 workers to keep the factory running. Robotic arms have cut the human workforce to less than a tenth of that—just 60 workers. The company’s plan is to reduce that number to 20. The company experienced a 250% increase in productivity and an 80% decline in defects. Companies are looking at robotics, 3D printing, and artificial intelligence as a way to improve the R&D process and lessen uncertainty when going into production. The process of theory testing has room for improvement, and tightening repetition time will convert into faster and better innovations. Increasing product development is the number one priority for manufacturers using 3D printing. Over 50% of all 3D printing work is in the beginning phases for proof of concept and prototyping. 3D printing is already basic in any design studio. Designers can use 3D printing to check what a new product will look like before ordering thousands of physical parts. Robotics is used in a similar way by automating the physical process of trial and error. Better digitization of the scientific process will be critical to the development of new products and materials, and then manufacture them at scale. Right now, the most recent area for AI is healthcare, as companies employ AI for drug discovery pipelines. Pharmaceutical companies are dumping cash into AI R&D. AI is crucial to manufacturing. AI allows for new, upgraded and customized products. It provides for a smart supply chain and the creation of new business models. For sure, there’s no question that artificial intelligence holds the key to future growth and success in manufacturing. For manufacturers, artificial intelligence is used in a new process called generative design. 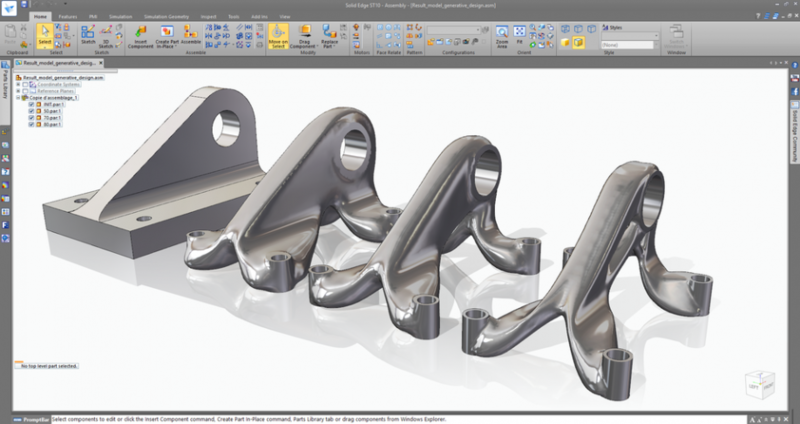 Designers or engineers input design goals (along with the parameters for materials, manufacturing methods and cost limitations) into generative design software. The software then searches all the possible variations of a solution, and promptly produces design possibilities. Finally, AI uses machine learning to test and learn from each variation what works and what doesn’t. Complex smart sensors, artificial intelligence, big data pools, and robotics, combined with the vast connections of the cloud, is bringing in a new period for manufacturers. Totally integrated factories can rapidly customize products to an individual customer’s request and react instantly to changing demands and trends. A digital factory can be a facilitator for a dynamic growth agenda by producing gains in productivity, financial and operational performance. Some manufacturers are frightened away from modernizing their factories, even though the long-term benefits are obvious. They need modernizing or the competition will outperform them by adopting these new technologies. The transformation to a digital factory means managing the change, especially the way it will impact the company’s employees. The basis of digital factories is new technology and digital solutions. A company that is transforming its factories needs to get this right. It’s just as important to simultaneously develop all the other aspects of digital capabilities, such as process, organization, and people. A digital factory necessitates a new set of rules, including heightened agility, new technology remedies, and cross-functional teams. Many companies must realize that they must break a lot of the old rules when they begin executing digital transformations and digital projects. They need to break the rules on how to apportion people, how to fund the changes, and even what technologies to utilize or what project models to use. The factory of the future will be smart. Moving beyond the basic automation of the factories of the past, the smart factory will incorporate technology into every part of the manufacturing procedure. The term describes an environment where machinery is able to enhance methods through automation and self-optimization. The benefits of a smart factory extend beyond the production of goods and into tasks like planning, supply chain logistics, and product development. Yet, the core value of the smart factory takes place within the four walls of the plant. 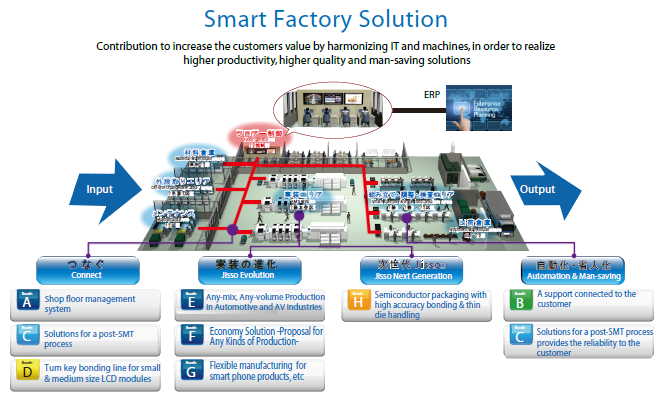 The configuration of a smart factory includes a combination of production, information, and communication technologies. The Artificial Intelligence market is predicted to grow from $8B in 2016 to $72B in 2021. The Blockchain market is predicted to grow from $.2B to $2.3B in 2021. Robotics, AI, and basic IoT digitization is the technology that will be needed to design smart factories. Abundant data and smart robotics will magnify a factory’s output, while minimizing costs and defects.